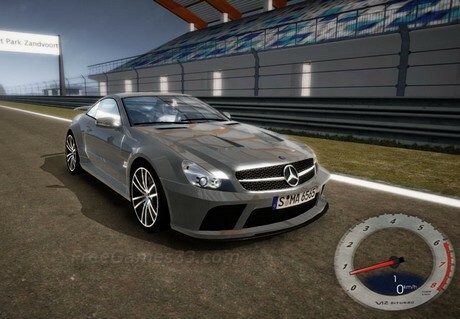 Racer is a free car simulation game with emphasis on the manufacture of quality high-end models for car body, tracks, and gameplay to get the realistic impression especially on graphics. Racer also provides editors and additional tools to be utilized optimally by users. Although using good and reliable graphics, Racer remains to be distributed freely for non-commercial use and is available on various platforms namely Linux, Mac OS X, and Windows. The available graphical features are very complex including skidmarks, smokes, flares, sparks, and lit tracks. In addition, you can also add more cars and tracks addons for use during play. You can also make your own car model using software such as 3D Studio Max (tm), Maya, etc. Aside from being entertainment, Racer can also be utilized for learning to create 3D models through additional tools provided internally. Certainly it will require deeper implementation on algorithms and physical models especially for some parts like chassis, suspension (springs, dampers, anti-pitch), and tires. Tengo el Racer v0.6.5.5 lo abro todo bien pero cuando le doy a Free Driving Me dice Connecting To y me aparece unos numeros que puedo hacer? Porfavor ayudenme cuanto antes. I have the Racer v0.6.5.5 I open everything well but when I give Free Driving Me it says Connecting To and it shows me some numbers that I can do? Please help me as soon as possible.